There are few who would argue that the most important grape variety by far in Australia is syrah, or as we call it shiraz. The range of styles produce from this grape, or a blend including this grape, is pretty big. The wines can range from jammy fruit bombs, to tannic oak monsters, to intense fine and peppery, and in many cases somewhere in between. Don’t get me wrong, there is a lot of mediocre shiraz made in Australia, which is not surprising as it is the most planted variety and you would struggle to find a region that doesn’t have at least some shiraz. There is a reason why Australian shiraz is so strong both domestically and overseas, and it is partly because of the quality and partly because of the value. Considering this, I find it very surprising that wines from the Rhone Valley, particularly those from the Northern Rhone aren’t the most popular imported wines. It may have something to with the fact that for many years the majority of wines produced here are too expensive for most Australians, but did not have the acclaim of Champagne, Bordeaux or Burgundy. With the increased value of the Australian dollar against the Euro, now is an ideal time to be investing in the Rhone Valley as you can still find some absolute bargains in every appellation and price category. Just don’t expect it to be like most Australian shiraz. 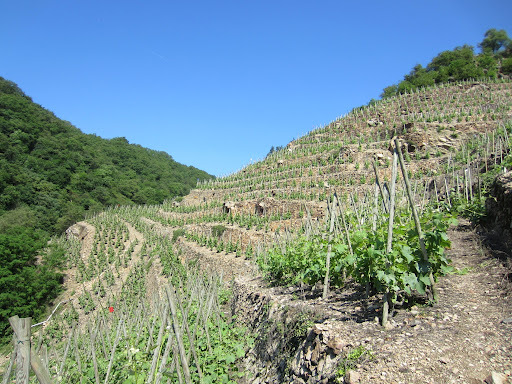 The two producers I visited in the very Northern Rhone Valley on Day Six are both at the pinnacle of syrah production, but have slightly different approaches. On my trip thus far in Europe, there have been few wines I have tasted in France that have both surprised and delighted me. There have been plenty of fantastic examples, from Salon in Champagne, Weinbach in Alsace, and Domaine Ott in Provence, but there are two specific reasons why I haven’t had my mind blown like in Germany, Austria and Italy. The first is that I am much more familiar with the French wines, as there are more imported into Australia that I have tasted, and I have already visited most of the regions I have been to so far. The second reason is that like every other New World wine-producing country, the vast majority of varieties planted in Australia are French varieties, so I am very familiar with them. The Italian and Austrian varieties are very uncommonly grown and less commonly imported into Australia, and the German wines (riesling in particular) are very different to those I know well. I guess a further reason might be that you generally expect French wines to be better, and in this they rarely disappoint. But as I said there haven’t really been many wines that have got me really excited yet, apart from some very old examples at Zind-Humbrecht and perhaps the Bandol Rouge at Chateau Pibarnon. 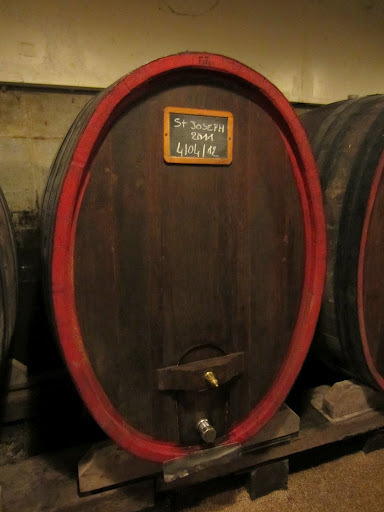 When I tasted the wines at Domaine Barge in Cote-Rotie – still in barrel I might add – I was completely blown away, and had quite an epiphany. I was welcomed by Julien Barge, who is the latest generation to run the estate. Like some of the other hosts I have met in the Rhone Valley, Julien has worked vintage in Australia, but interestingly worked with Sandro Mosele at Kooyong Estate in the Mornington Peninsula (which happens to be my favourite region in Australia, sorry Yarra Valley). After this he lived in my hometown of Melbourne for several months, so naturally I warmed to him right from the beginning. It wouldn’t be hard to imagine someone who inherits the mantle of running such a wonderful estate with some of the best parcels of fruit in the greatest syrah region in the world may be slightly jaded, considering most of the hard work in terms of site selection and cultivation techniques has already been done. There isn’t really anything radical that someone can do different apart from the winemaking, and as I always say you can’t improve much on what nature gives to you. Julien is not only humble about his heritage and responsibility; he is extremely passionate about constantly improving the understanding and quality of his wines, even though changes may be slow and minimal. The most important thing he feels is perfectly capturing the marriage of terroir with variety and vintage, without influencing or intervening in the wine. One way he does this is by operating in a very reductive way, allowing little to no oxygen contact with the wine until the finished bottle is opened to be enjoyed. This approach of wanting the wine to be exactly as it was when it was made and bottled is very Australian, one of the reasons that we now seal most of our wine under screw-cap. 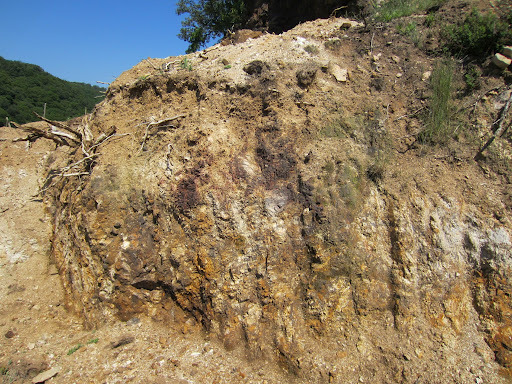 First Julien took me to the three important vineyard sites in the Cote-Rotie for Domaine Barge. The first vineyard is part of the Cote Brune, where the Guigal La Landonne vineyard can also be found. The vineyards are very steep here, and the soils consist of lots of iron which is where the name comes from. The Cote Brune is considered to be the more masculine part of Cote-Rotie, partly because it is almost entirely south-facing and thus can ripen more intensely. The second vineyard is part of the Cote Blonde area, which has lighter sandier soils and is more east facing. As you probably guessed, this is considered to be more feminine in style. 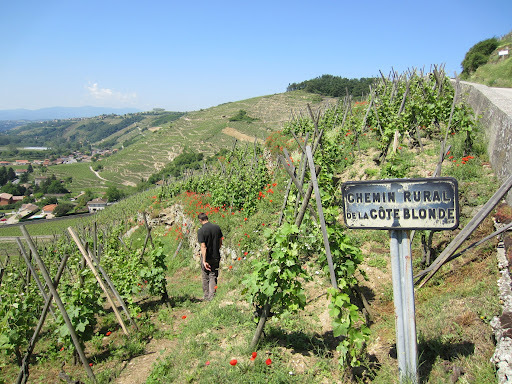 The third vineyard is probably the most important for Domaine Barge, and is the most interesting and misunderstood of the three. The vineyards have a south-east facing, and the soils are a lot more varied here, being a mixture of granite, sand and clay. Julien is particularly proud of his parcels here, as they are in a part of Cote-Rotie that hasn’t had as much attention as others since the First World War. Back in the winery as I tasted through different barrels from the 2011 vintage, I could not only see the subtle nuances between each plot but also how they are influenced by different barrel producers and ages. Julien shared his philosophy about gentle expression of the wine through gentle extractions and older oak, and commented that he would prefer to have a daughter take over from him to have a delicate feminine touch on the wines. The purity, depth and elegance of his syrah wines were the most amazing I’ve ever seen, in spite of them being from a vintage that I have found a little simple. I was honoured to also taste the first vintage he made in complete control, a wine which he won’t open for the rest of the year until Christmas. If you see Domaine Barge wines anywhere, buy them, don’t even hesitate. Click here to read my notes from the tasting. Pierre Gaillard is a modern icon of wine in the Rhone Valley, and has built himself a small empire across three different regions. Although a big man he has a very humble personality considering the esteem he is held in. He is ably assisted by his wife Pascale, and his two daughters who run an estate each in the Rhone Valley and Languedoc-Roussillon. Most of the wines he produces are from his own vineyards, and he is working across so many appelations it is hard to know how he keeps track of everything. With so many wines produced under the Gaillard name, I restricted myself just to the Northern Rhone wines which still meant a tasting of 11 wines. Tasting along with me were a couple of friends celebrating one of their birthdays, and we enjoyed a good discussion about the merits of French wines and our personal tastes and appreciations of them. 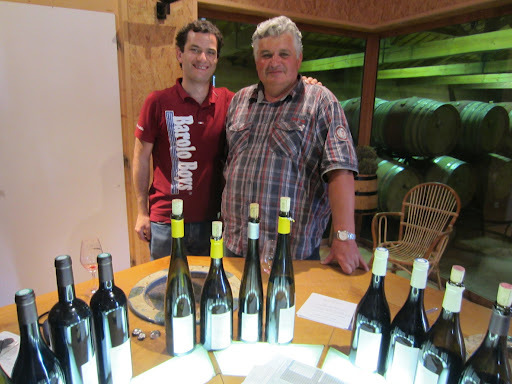 As it was late on a Saturday afternoon I didn’t have a tour and didn’t really discuss the winemaking with Pierre, but I greatly enjoyed his wines as you can read here, and I also enjoyed meeting him. Click here to see my notes. Click here to see more photos from Day Six in the Rhone Valley. On my final day in the Rhone Valley I visit Chapoutier and Alain Voge.